Malawi Police are still in the hunt for murder suspect Ali Kaka Chinemba following his escape soon after he was granted bail. Kaka was arrested for shooting 20 year old Davie Kadzuwa after they picked up a quarrel in Manja over car parking. Ali-Kaka still on the run. When his bail was revoked on the grounds that he was not attending court sessions, rumour had it that he had already vanished. With Malawians demanding justice, the police are still looking for Kaka whose whereabouts remain unknown though there are reports that he has sought ‘refuge’ in South Africa. Blantyre Police publicist Elizabeth Divala says they are still investigating the matter. “When his bail was revoked we went to his house but we did not find him, so we are still in search for him,” said Divala in an interview with Malawi24. She also urged Malawians with information that may lead to Kaka’s arrest to tip them. Kaka has been arrested twice in the past: for using his father’s passport and for having a hand in the abduction of three people in 2012. Last year he failed to secure a parliamentary seat for Blantyre city south constituency in the 2014 elections. He is currently one of the most wanted people in Malawi. Mmmmm….. wa police sapeleka belo kkkkk…… Koma angathe kuthandiza kuti athawe. Olakwa ndi Judge pakhaniyi. The bible says,on 1 John chapter 5 verse 19,that the devil is ruler of this world now.That is why there is no truth in this world,very soon when Jehovah took over everything gonna be alright. Amuthawitsa ndi Apolice omwewo, after atawanyemela. Ingakhale kuno ku Mangoch zikuchtika, apolice akumathawitsa ma criminals mwadaladala ndithu. Chilungamo cha olemera ndi ndalamazao tikakhala osaukafe zilango zikutidikira olo tisalakwe.Mwini chilungamo akubwera azaweruza aliyense molingana ndi ntchito zake. @ Gondwe Police Dnt Grant Bail To Murder Suspects Its Only High Court Or Supreme Court Of Apeal Tht Is Only If High Court Reject The Supreme Court Cn Do So,dnt Blame Police Blame High Court Awa Amalawi24 Muzelezeka Nawo By Jst Comenting On Isue U Dnt Know! Wow!! I hop em gonna learn a lot here.So afta goin throu ur hundsom & beautfu comments,I’ve in de long last found out dat dere s indeed a vehement friction btn two difflent understndins 2 sy, wh is said 2 b pointd a finger at btn police & d judge 4 grantn a bail 2 a villain lyk dis 1.So let m knw,wh exactly is is respospl 4 granting de bail wen it comz 2 situitonz like dis? Koma aja amene anawapeza akupanga zadama mgalumoto aka, sanawapase bail. Uyu okuphayi ndiye kumulola. Zanu izo. mpezeni uyu asakuvuteni, uja anapha linda gasa munampeza bwanji? changu uko, dnt sleep. In Zambia We dont Grant Bail To Murder Suspects. Infact The Court Errod in Its Rulling by Granting a Murder suspect Bail. Belo Anampasalo Linali La Sugar Kapena Lakaunjika Kuti Iyeyo Athawe Nalo? Now i can boldly conclude that we Malawians don’t know which cases police can grant a bail and which ones police cannot. Imagine how everybody here thinks that its Police that granted a bail to Alikaka the murderer. I pity with my fellow Malawians! No Wonder, Akanakhala Mphawi, Belo Siikanapelekedwa, koma munthu amene ali ndi ndalama zopatsa loya zikutheka. ndiye malawi ameneyo. Apolice a kwathu kuno ndi afisi achabechabe.Jaj ameneyo mandeche.akudziwa zomwe zinachitika. Dont always blaim our Cops Mind you it was not Police bail but Court bail!!! ameneyo sadalakwitse kuthawa coz anampatsa mway okha, even nditakhala ine mway ukapezeka ugwiritse ntchito. Apa boma lichotse ntchito amene adapeleka bail. Never give a bail to a prisoner with a murder case its not worth it to take someone’s life so if you arrest such people please don’t even think about bail in any ways that they may convince the Court. Apolice munthu anamugwira bwino lomwe koma chitsiru ndi judge amene anapeleka bail kwa chigawengachi. Musiyireni judge wautsiruyo akagwire yekha. Zoona munthu wakupha munthu angapatsidwe bail.. Stupid!! Why not arrest his lawyer? he is a suspect and not a convict,every suspect has a right to apply for bail and its the courts duty to put in place all measures that he doesn’t skip bail,the police are not to blame here,did u expect the police to take him back into custody after the court had granted him bail? Rodger confirm the situation in the republic of SA,,,Over! Copy the situation quiet and normal,over and out. In our country bail z the same as u r out 4 good now why hunting him? Ayambano kutengera zaku theba zija zomati, mulandu oba mtoliro zaka khumi, pomwe wakumpha kumpatsa bail, ati freedom of killing kapena professional killing, hey Whatagwaan????????? You anti-police blame the high court not police because it was the court who granted bail to the suspect.It also pains the police to be ordered by the court to re-arrest the suspect to whom they granted bail with that strong evidence. Devil akamausa…msati museke Ali akazola matope. Wat about the CHANTHUNYA CASE?..Still following till i hear ,he is in!!! Fools!Murderer Not Murder Suspect.You See Now Gentlemen,Because He’s Made To Be A Murder Suspect Is The Reason Why He Felt He’s Just As Free As A Bird.It’s A Shame The Whole World Witnessed The Man’s Cruelty But Still Agreed To Call Him”Suspect”.Somebody Lost A Life And A Mother And Father Lost A Son While Sisters And Brothers Lost A Dear Brother.Sorrowfull.Law Makers,Enforcers And Judicially,You’re A Hell.But Remember,It’ll Find You One Day Right At Your Door Step.There’s God. Elliot, with due respect, Gondwe does not understand the story and looks like he is not familiar with matters of criminal law. Rest your argument with him pls. Police said though he absconded his bail, but he was still within the country, ndiye pano aziti he is giving them headache . U cops,we r nt infants,mwamva? hw can u grant a murder suspect bail as if u were granting bail to suspect that has stolen a spoon? U cops must knw something there..there’s something fishy there…am out! Commenting on a topic which u have little knowledge is de stupidity of highest level. U shouldn’t expose ur ignorance to the public like this. When did judge Kamanga become a police officer? #Joseph,just correct me wea am wrong,dnt talk abt stupidness. Remember that both police & court grant bails,bt in this topic MW 24 has jus stated that Ali is gving headache to the cops,in which in my imagination was thinking that the cops were the one who granted bail to the suspect Ali..mind u,u cnt b intelligent wea soever,atleast u hv some weakness too! Hahahaha,if u r very touched with my comments then tel MW 24 to re-edit the topic(story)..minus that,then i & the rest of the MW 24 followers wil b blamming the cops…infact the MW 24 might knw the fact that Ali’s bail was granted by the court,bt we hvnt seen any blame being put on the high court bt rather the cops..hahahaha..bt r u gonna manage to oppose any comment that is blamming the cops that they granted bail to ALI? hahahaha,i doubt dude! musapusitse anthu apa.court limapanga grant bail akava mbali zonse(police & suspect).court silimagwila munthu!.. we are awake.wina akumukaniza bail coz akumuganizla kut anaba solar wat about kuganizlidwa kupha?.. Police don’t prosecute murder cases b4 the High Court, it’s the DPP. #Joseph_Diverson I believe that there’s a long way to go with such ignorant pple & I say a big hand 4 u. 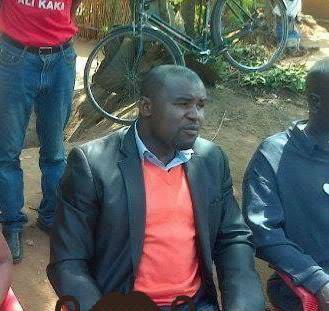 #Cephas & #Mulula,y dnt u blame the MW 24 fr posting zinthu zomwe inuyo sizinakusangeletsen? am here on zis page to comment wat so ever comes on this page no matter the post may b negative to me… ineyo hv commented according to MW 24’s story…let me ask u this again,y ddnt u blame MW 24 fr nt being open? Wat wy should I use 2 brng dez two conflictng monkiez? Wow!! Let m jst tel dem uz ‘fighting’ nanga muja mwaambira wowo wowooo! kkkkk akamugwilaso ampaso bail ina! Yes, We Can Now Suspect Foul Play By The Police. Now They Want To Give Us Force Hopes That They Are Failing To Capture Him, So That We 4get, No Way, Do Your Job And Give Us Positive Results. A Lesson Learnt To Our Police And Entire Judiciary. I Remember When I Posted My Views On Fb, That I Was Not Comfortable With His Bail, Someone Retariated: Sayed I Was Just Bluffing. Look Now Whats Happening. We Should All Be Ashamed For Letting A Clear Murder Suspect Case Offender Go Loose. Justice Delayed Is Justice Denied. why did thy grant a murder bail? Somethng is wrong there!